FITS MOST WATCHES: Spring-loaded telescopic holders fit all watch bracelet and strap sizes. LCD TOUCHSCREEN DISPLAY: Touchscreen option makes setup process much easier. LED BACKLIGHT: The watch winder has built-in LED lights. MAXIMUM USABILITY: Single winder module and the storage drawer. An automatic watch winder for a single watch, LCD touchscreen control and LED backlight by Boda Concept. Note: When you Plug-in power cable for the first time, please wait 30 seconds for the winder to reset to default position. Important: To ensure accurate time, wind your watch fully (about 10 turns)before placing it inside the winder. 2. Press “S” for 5 seconds to turn the winder OFF, Press any buttons to turn the winder ON. 3. Press “(start/stop)” to pause for 5 minutes, and then press any buttons to restore the operating. 4. Press S to select the setting target. By default, left and top winder is selected with the flashing number “1”on top. To select the right or bottom winder, press S again, and number“2”will begin to flash. 5. Once you have selected the number of winder, select the Rotations-Per-Day (RPD) by pressing the RPD function. These are 6 RPD settings available: 600-900-1200-1500-1800-2100.Each watch has a unique RPD setting, please, select the closest setting for your watch. 6. Next, select the () rotation direction of the watch. These are 3 directions available: Clockwise winding, counter-clockwise winding, or bi-directional winding. Each watch has a unique directional setting, please select the appropriate setting for your watch. 7. Finally, press the > function to Start the selected winder. To remove your watch, press the > function to Stop the selected winder. 8. Press the button to Turn On or Turn Off the LED lights. BODA Concept has appeared in the watch winder market relatively recently as a subsidiary and more cost-saving division of PAUL DESIGN. The company’s concept is to combine the luxury and advanced technologies with the ease of use and low price. Thanks to the successful combination of price and quality, BODA CONCEPT winders have immediately become one of the market leaders. All boxes have exterior natural wood finish and are covered with gloss varnish from the outside. Each device has internal light and convenient electronic control panel with touchscreen. Produced in modifications to wind up 2, 3 and 4 watches. Available colors: carbon fiber, Macassar and dark burl. There is USB output on the back side of the device. Has classical design. 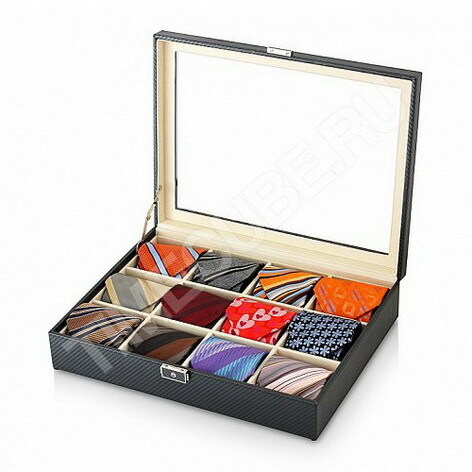 It has an additional box to store watches, cuff-links, documents or jewelry. Available in carbon fiber, Macassar and walnut. Suitable to wind up 6 watches. Produced in modifications to wind up 1, 2, 3 and 4 watches. Available colors: carbon fiber, Macassar and walnut. Glass door with metallic inserts and additional box to store watches and jewelry. There is USB output on the back side. Intended for owners of large collections. Consists of models suitable to wind up 9 and 12 watches. Winders of D series are available in the following colors: carbon fiber, Macassar, walnut, black, white and dark burl. 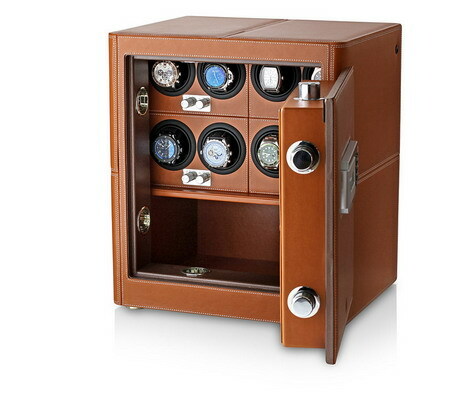 All devices of these series has a box to store watches or jewelry. Package device to wind up one watch. Available in following colors: carbon fiber, Macassar, walnut, black, white and dark burl. The devices are equipped with rechargeable battery and, thus, may operate without connecting to electrical network for a long time. 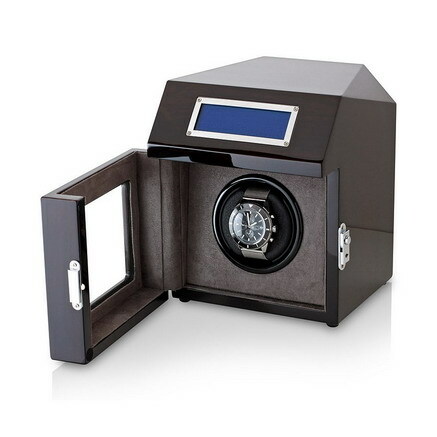 If you have highly-valued models of watch, you may put E series winder to the safe to protect your watch and make sure that their mechanism is always operational. Produced in modifications to wind up 2, 3 and 4 watches. Available colors: carbon fiber, Macassar, dark burl and walnut. There are additional pillows to store 3, 5 or 6 quartz watches under the upper lid. 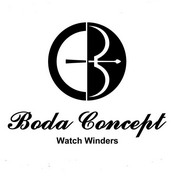 Watch Winder Store is an exclusive distributor of Boda Concept products in the USA.